El Cadáver Exquisito at The IV Ibero-American Film Festival of Beirut, Lebanon. The IV Ibero-American Film Festival of Beirut, Lebanon. 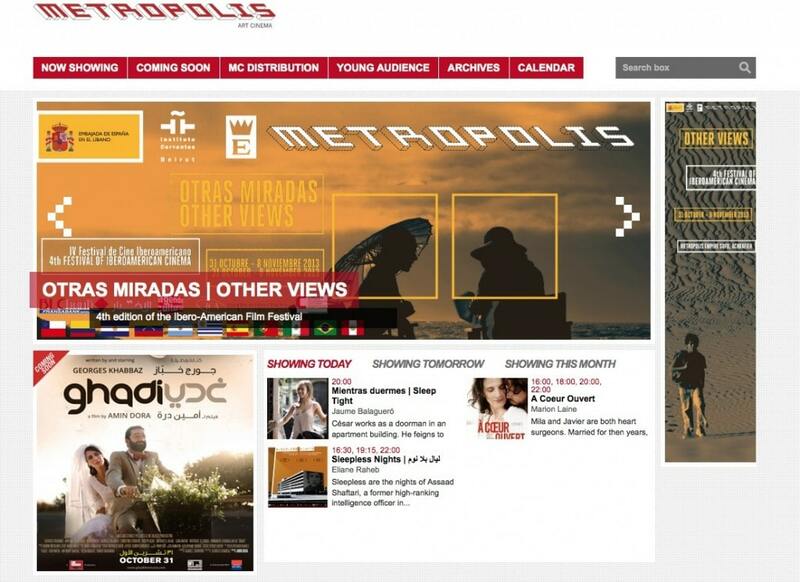 The Embassy of Spain in Lebanon and the Cervantes Institute of Beirut in collaboration with the Metropolis Association and the Embassies of Argentina, Brazil, Chile, Colombia, Mexico, Uruguay and Venezuela and the consulates of El Salvador, Portugal and Peru, are pleased to present the 4th edition of the Ibero-American Film Festival OTRAS MIRADAS | OTHER VIEWS.